Play is crucial for young children. 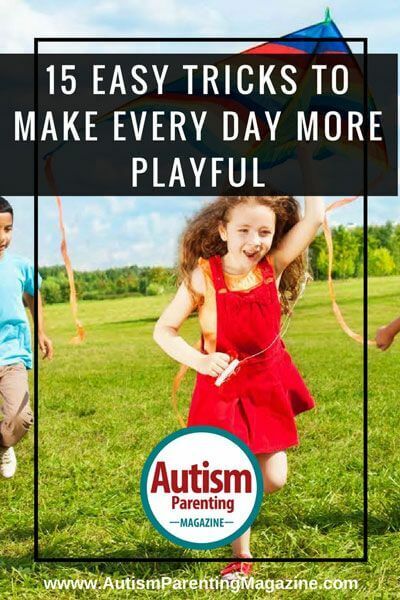 It helps them learn how to work their brains and move their bodies, expands their social skills, promotes problem solving and the ability to focus, and, best of all, helps them feel happy with themselves. We’re seeing now what happens when children don’t have time to play. In the schools where recess is shortened and the emphasis is on sitting for long periods, children begin to have problems. They fidget, they don’t pay attention, they have poor postural control and fall out of their chairs, anxieties rise, and social skills deteriorate. When they aren’t in school, many are sitting in front of screens, and in some communities, it may not be safe to play outside. What I’m advocating is radical in an old-fashioned way, and it can fit right into the home. Playing these games will bring back memories of olden times, but they are still just as valid, useful, and fun. For example, a wonderfully simple way to help children learn balance is to bounce them on your lap — an activity that comes naturally to most parents with young children. Decorating cookies has a sweet reward, but it’s also a fabulous way for your child to practice fine motor control. Timed races teach coordination and focus, egg hunts work on attention and vision, and so on. Activities that perk up or calm down your child are not just effective in the moment: they actually help restructure the nervous system over time. Eventually, these children will be able to better tolerate challenging sensations and situations, regulate alertness, increase attention span, and limit sensory-seeking and sensory-avoiding behaviors. Just like you may doodle in a notebook to help stay awake at meetings or take a long walk to unwind, children need to engage in stabilizing, focusing activities, too. Don’t Parents Have Enough To Do? Today’s parents often have outside jobs that bite into their time — houses still need cleaning and laundry still needs to be done. And yet, they also want to connect with their child and have the joy and satisfaction that closeness can bring. What to do? Do what makes you feel happy. Maybe your thing is reading. Read to your child, even if it means modifying your usual read-all-the-text preference. Point out the pictures, have them guess what come next, or have them say the last sentence or word of the phrase. You like to explore the rocks at low tide? You like to set up obstacle courses? You like to cook? Take your child on the adventure, have them help set up the course, or give them jobs in the kitchen (even if it turns out to be messy). Have conversations with animals, bugs, plants, pets. Thank trees for shade, bowls for holding cereal, and so on. Pretend to be an announcer and describe what they are doing while they are doing it. If they are jumping on a trampoline, announcing their “feats” will inspire them to make some up. Whenever possible, add movement and song to your activity. Sing a song while tidying up, or do a silly dance washing dishes. It’s fun if your child knows that his/her turn is next and you have to do what they say. Let them be the leader! Taking movement activities outdoors naturally adds more sensations. The smells, the feel of the air, and the sense of space all add to the joy. Being held by water in a pool or ocean is already a wonderful feeling, and it’s perfect for the tactile- and movement-resistant child. It’s easier to move and touch in a fluid environment. If you can, bring in another child to demonstrate. Seeing an adult do things can be “so what” moment, but seeing another child do it . . . Now that’s cool. You have to walk to the car or to your home from the store? Walk as if you were giants taking huge steps or like a baby with teeny step or a kangaroo who jumps all the way home. When you make any activity more playful, you respect their need to be a kid while making wonderful memories that perhaps, one day, they will pass down to their own children. Barbara Sher is the author of 11 books and one CD on children’s games. For details or to hear her podcasts, go to www.gameslady.com. Go to amazon.com/author/barbarasher-gameslady for more children’s games and check out the newest book: Everyday Games for Sensory Processing Disorder: 100 Playful Activities To Empower Children With Sensory Differences.